In a military divorce, there may be up to three separate jurisdictions where one can file for divorce: the legal residence of the military member; the legal residence of the spouse; and the state that the servicemember is stationed in. Servicemembers do not change their legal residence merely because they move to another state. The Servicemembers Civil Relief Act, (SCRA) allows servicemembers to live in one state, yet claim another state as their legal residence. The same is not true for the spouse. The spouse's legal residence is usually the state he/she is currently residing in. 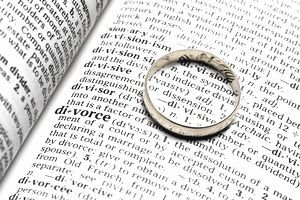 In order to file for divorce, however, in most cases, the person would have to establish "minimum residency requirements," ranging from three months to six years. Additionally, most states have laws which allow a member or spouse to file for divorce in the state the member is stationed in, even if the member or spouse are not residents of that state. Many states even exempt a "minimum residency" for military divorce actions. For example, Airman Joseph Tribbett is stationed at Travis Air Force Base, in California. Joe's "legal residence" is in Nebraska. He has been separated from his wife for a year. Jill has been living with her parents in Denver, Colorado. In the late 1970s and early 1980s, various state courts began to treat military retired pay as "community property," often awarding a portion of the pay to the former spouse. One such case from California finally wound its way through the federal courts to the Supreme Court, who ruled in McCarty v. McCarty, 453 U.S. 210 (1981), that federal law did not allow retired pay to be treated as joint property. In its decision, the court was very clear that division of military retired pay was not necessarily unconstitutional, but that current federal laws (at the time) prohibited treating military retired pay as joint property. In response, Congress passed the Uniformed Services Former Spouse Protection Act (USFSPA), in 1982. This act allows state courts to treat disposable retired pay either as property solely of the member or as the property of the member and his spouse in accordance with the laws of the state court. Contrary to popular belief, there is no "magic formula" contained in the act to determine the appropriate division of retired pay. A state court can divide retired pay in any way it chooses (subject to the laws of that state). For example, it would be perfectly legal for a court to divide military retired pay 50/50 for a marriage that only lasted two months (again, subject to the laws of that state). A state could also decide to award a majority of the retired pay to the former spouse if the state laws allowed such a division. Conversely, a court may also choose to treat retired pay as the exclusive property of the military member. The ex-spouse must have been married to the military member for a period of at least 10 years, with at least 10 years of the marriage overlapping a period of military service creditable to retired pay. Direct payments will not be made for division of retired pay in excess of 50 percent (If there is more than one divorce, it's first come, first serve -- no more than 50 percent will be paid as division of retired pay -- For example, if a court awards ex-spouse number one 40 percent of retired pay, and another court awards ex-spouse number two 40 percent of retired pay, DOD Finance will directly pay ex-spouse number one 40 percent and will direct pay ex-spouse number two 10 percent). Disability pay is not subject to division as property. It is subject to garnishment for alimony or child support, however. Alimony or child support can be paid in addition to the division of retired pay. In this event, DOD Finance will not pay over 65 percent of an individual's disposable retired pay for property division and alimony/child support. In other words, let's say that Joe and Jill were married for 12 years, but only 8 of those years were while Joe was in the military. The state court awards Jill 40 percent of Joe's military retired pay. In this case, Jill cannot apply to have DOD pay her directly because there was not a 10-year overlap of the marriage to Joe's military service. Joe, however, would be responsible for paying Jill once per month or face possible consequences from the court. If, on the other hand, Joe and Jill had been married for 12 years with all 12 years overlapping Joe's military service, Jill could request DOD Finance to pay her portion of the retired pay directly to her. Let's bring our distraught Joe and Jill back into the picture. Assume Joe is stationed in California but claims Nebraska as his legal residence. Jill's legal residence is in Colorado. If Jill files for divorce in Colorado, the court would not be allowed to divide Joe's military retired pay unless Joe consents to the jurisdiction of the court (assuming the couple had no joint-residential ties in Colorado). If Jill files for divorce in California (where Joe is stationed), the matter is more complicated. Regardless of "legal residence," if a court determined that California is their home, not just a residence of convenience (i.e., due to military stationing), the court could assume jurisdiction over the member's retirement pay, regardless of consent. A servicemember whose family has bought and lived in a home, established church and community affiliations, educated and raised children in the state, might well be considered domiciled there even though they have maintained a "legal residence" elsewhere. Whether the duty station state courts have jurisdiction, absent consent, is a question that must be resolved on a case to case basis.